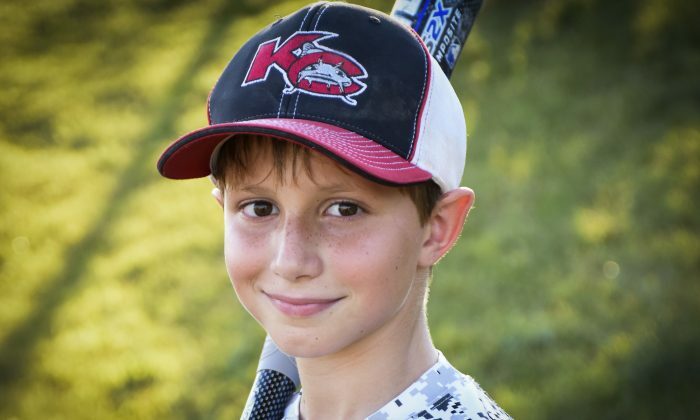 Police revealed on Aug. 8 that the 10-year-old son of a Kansas state legislator died of a neck injury while riding the world’s tallest waterslide. Caleb Schwab, the son of Rep. Scott Schwab died on Aug. 7 at Schlitterbahn Waterpark on the Verrückt waterslide. According to Kansas City Police, responding emergency personnel found Caleb “dead from a fatal neck injury at the end of the ride, in the pool.” The young boy was one of three passengers strapped in a raft. The other riders—two women unrelated to the Schwabs—were treated for minor facial injuries. An off-duty officer working at the water park had notified police of the incident and asked to have officers dispatched. The police department offered condolences to the family. The Verrückt stands at 168 feet tall and is the world’s tallest waterslide, according to the Guinness Book of World Records. Safety issues delayed the 2014 opening of the Verrückt waterslide four times. Jeff Henry, co-owner of Schlitterbahn, described the ride as “safe dangerous” in an interview with USA Today in 2014. According to the water park’s website, each rider must be at least 54 inches tall, and the riders combined weight is limited to a total of between 400 and 550 pounds. Police officials have not said if Caleb or his passengers met both the height and weight requirements. The Schwabs released a statement following their son’s death. The tragic incident occurred on elected officials day Sunday, a day on which elected officials and their families were given free admission to the water park and lunch. Verrückt is currently closed as the incident is still under investigation.